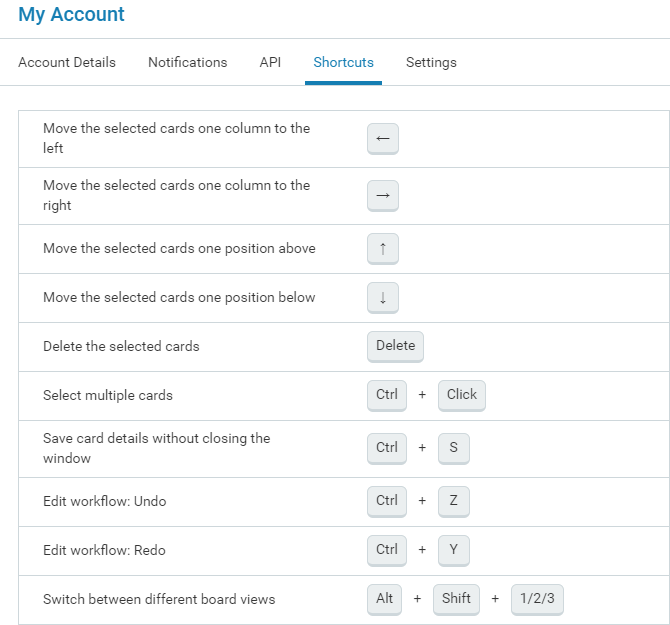 You can get the list of all shortcuts in Kanbanize from the "My Account" menu. Please, access "My Account" at the top right side of your board interface and select the Shortcuts tab. 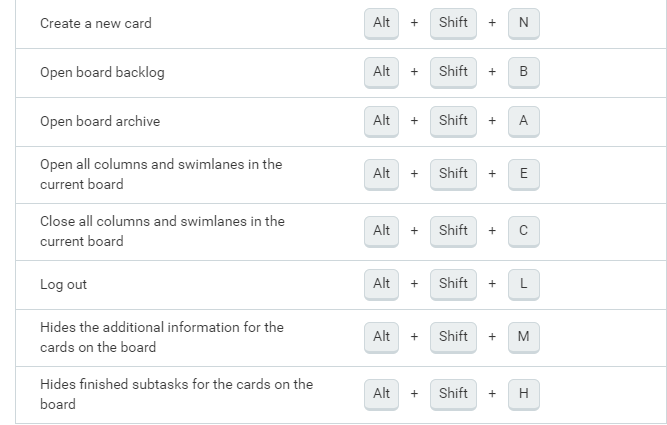 In this tab, you can find the list with all short keys for actions and navigation in Kanbanize. How to add and configure a process efficiency widget?